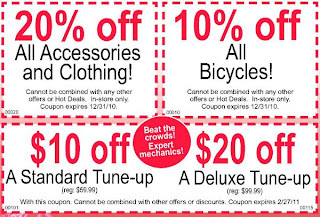 Century Cycles Blog: Happy Holidays - Everything on Sale! Happy Holidays - Everything on Sale! 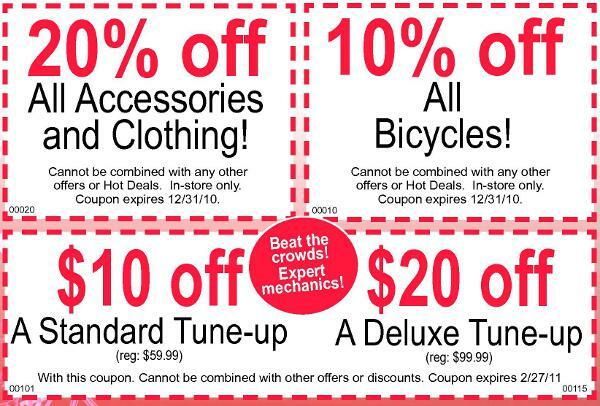 In extending holiday cheer and good wishes from the Century Cycles family to yours, we're offering 10% off all bicycles and 20% off all clothing and accessories, plus save up to $20 on a Tune-Up service! See below for printable coupons. Buying a bicycle as a gift? Our policy has always been that the lucky recipient is welcome to exchange it for a different size, style, or color! Closed Today: Happy New Year's Eve! News Roundup: Good Luck, Lois! Hot Deals for Cold Days #4 - Stocking Stuffers! New Headsweats hat added to Hot Deal #3!